My husband loves to read the newspaper, which is a good thing. I like to read certain parts but it usually depresses me so he reads and shares things with me and that way I don't have to get bogged down by all the bad news. He found this Salman Rushdie's recipe at the back of the Sunday Parade Magazine and said that it sounded good. He loves Indian food and with his birthday right around the corner I decided this would be my special dinner for him. The recipe was a huge hit even with my daugher who didn't eat the meat but loved the gravy and the jasmine rice. We had some frozen naan from an Indian store in Arkansas to add to the fun! 1. Brown onions in butter until deep golden. Remove with a slotted spoon and pulse in a blender to form a paste. Crush cardamom; mix into paste. 2. Add meat to pan; stir over medium-high. After a few minutes, add garlic, ginger, coriander, chili powder, and salt. Stir for a couple of minutes. Mix in yogurt. 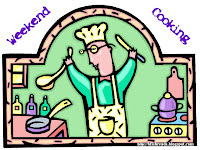 Cover and cook over very low heat, 1 to 1½ hours. 3. About 5 minutes before korma is ready, add onion-cardamom paste and saffron so it can be absorbed by the meat and gravy. Mine didn't look like the picture above at all-I didn't have those tiny peas and carrot cubes and mine had more gravy (I added extra yogurt)-otherwise I thought it would be dry. We loved it and I would make this again. 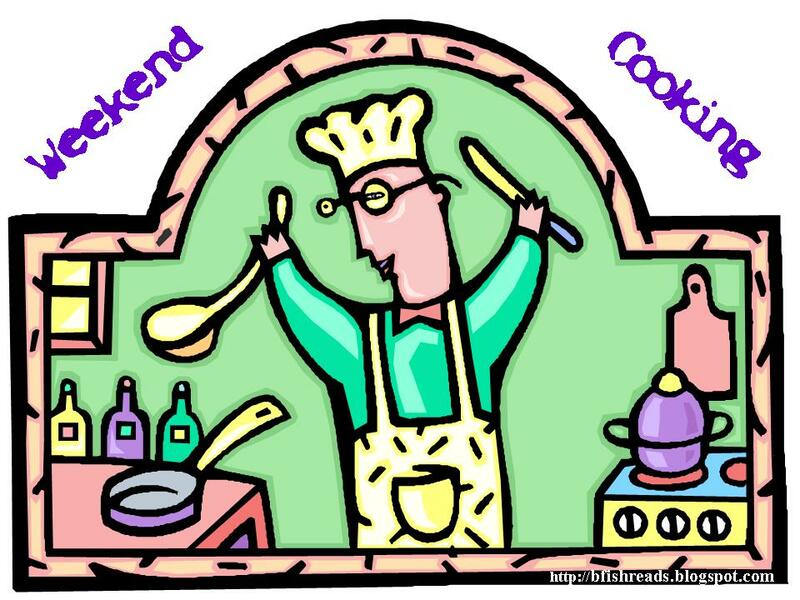 This post is linked to Beth Fish Reads' Weekend Cooking meme. Click over to see her post-she's making (my heavens) chocolate-ginger cake! It looks yummy. Salman Rushdie's Parade magazine's article.